The Cumbria Classic and Motorsport Show was first run in 1989 with a classic tour on the Saturday and the Cumbria Classic Show on the Sunday. This has grown to be the biggest classic car event in the region and is the 31st running of the weekend. This year the Rose and Thistle Challenge touring event on the Saturday heads into the Borders and Hadrian’s Wall country from a start and finish near Carlisle. 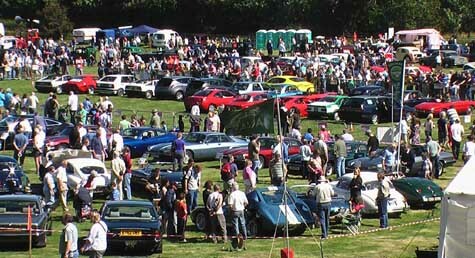 Last year the Cumbria Classic Car Show at Dalemain attracted some 750 cars for an day packed full of entertainment. All cars present get a souvenir slate coaster and the concours awards, which are done by self judging, are superb mounted model cars. There are autotests, arena displays, traders, music and discounted tickets to the Dalemain house and gardens.